Sleep better at night knowing you’ve reached a new level of clean. With the LG Bedding Cleaner, you’ll experience three levels of deep cleaning while enjoying features like an ergonomic design, easy-to-clean dust bins, HEPA filters and steam cleaning options. 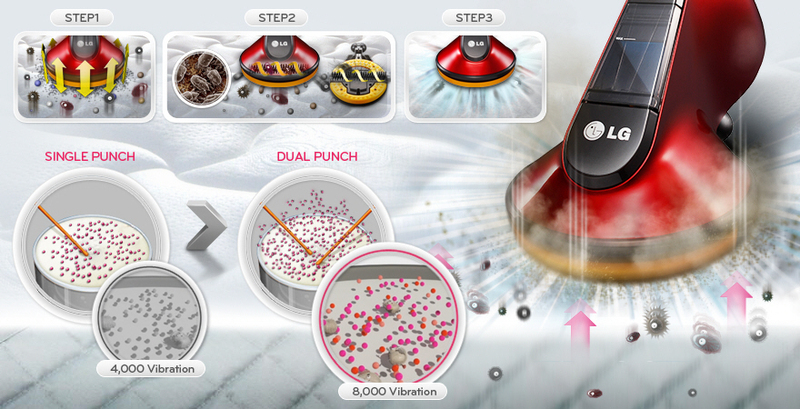 Dual Punch vibrates the surface 8,000 times per minute helps effectively remove even the most stubborn of dust mites, while the soft rotating brush is ideal for picking up hairs and fibers from sheets and pillows. 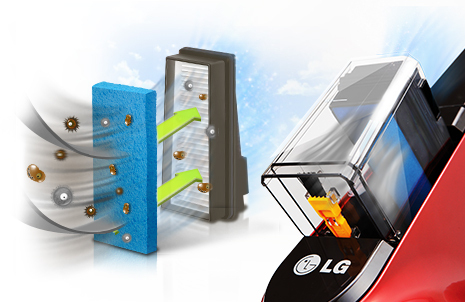 The powerful suction of the cleaner ensures fine dust and mites and effectively removed. 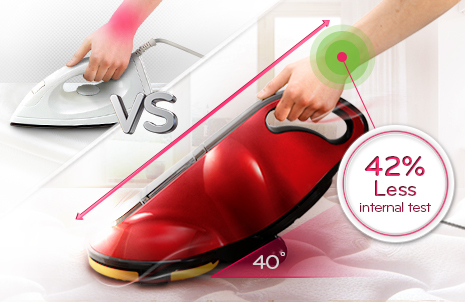 Through these three levels of deep cleaning, the Bedding Cleaner offers the utmost in hygiene. The inbuilt UV Sterilization Station ensures both the hygiene of the consumer’s bedding and of the cleaner itself preventing any chance of secondary contamination. After the cleaning of the bedding, the UV Lamp inside the station operates for 5 minutes and sterilizes harmful bacteria at the bottom of the cleaner to prevent secondary contamination. Dual HEPA filter includes a multi-filtration system that removes dust, odor and germs from the home environment. It retains find dust 99.99% certified by German SLG. LG’s Bedding Cleaner features an ergonomically designed tilted body and handle, so that it can be easily picked up and operated with one hand, causing minimal pressure on the hands and back releasing burden on wrist 42%. One touch dust bin separation that can be separated with simple operation. 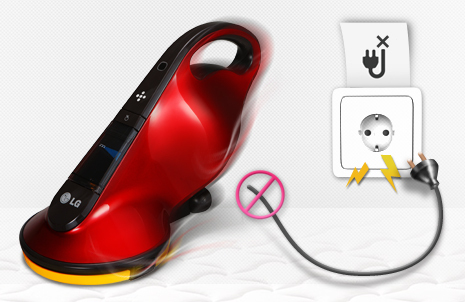 Hassle-free cleaning without power cord. Maximum 30 minutes cleaning after charging 3 hours. Battery is Lithium-ion and has no memory effect.